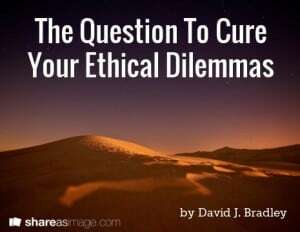 What is it that gets to everyone’s core when trying to decide what is ethical? 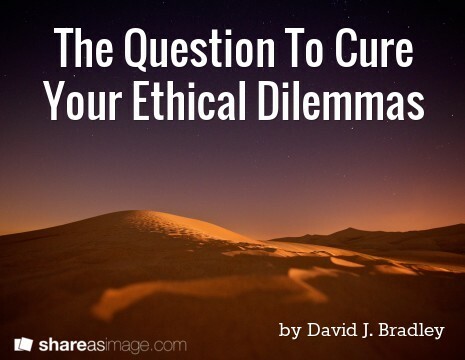 Ethics is an ambiguous term often seated between emotion and business decisions. If you want the honest, raw answer you have to do one thing. Look deep inside where you will find the answer outside yourself. Now what are you going to put in that blank? Your boss? No. Your coworkers? No. Subordinates? No. Best friend! Good guess… but No. Let’s try filling in the blank with someone special to you, someone you love unconditionally. Think mother, father, husband, wife, brother, sister, daughter, son, grandma, grandpa. We all have someone in our lives we want to protect. When you ask yourself this question with the right person in mind, it is compelling. You have real, raw emotions involved, rather than pure business concepts. Ethics is, after all, grounded in emotions rather than business operations. If you experience this in a real situation, you will see the effect that it has. You remove the office politics from the question and enter into the real emotions that derive from your core values. Of course, nothing is black-and-white. I simply wish for this small tool to be in the back of your mind next time (and it will be soon) an ethical dilemma confronts you. DISCLAIMER: Ethics is a subject I hate. Too much controversy behind people trying to define a universal definition across all situations. Business operations do have importance, and not all decisions can be, or should be, “ethically driven”.